Although Juan Mendoza’s original purpose to come to Grand Canyon University was to become a physician’s assistant, he discovered something bigger during his time on campus: God’s grace and humor. As a 30-year-old father of two (and eventually three), Mendoza had bigger demands on him than his classmates did — he was working full-time in the Navy reserve, doing construction work and going to school full-time to support his family. “Time was limited,” he recalls. And after serving as a combat medic in the Middle East, including frontline duty in the Gulf War, Mendoza lost his urge to go into the health sciences and instead chose to enter the field of life science, majoring in biology when he arrived at GCU in 1995. Mendoza chose GCU because it posed a homelike atmosphere with smaller classrooms and a genuine interest in student academics, he said. But outside the classroom, he became involved in Chapel services on campus. “It was rewarding to know that GCU had this (Christian) atmosphere — you could see it and hear it everywhere on campus,” Mendoza said. After graduating from GCU in 1999, Mendoza worked as an operations and training manager for Urgent Care clinics in the Valley. He currently is a private investigator for the Bureau of Diplomatic Security in the U.S. Department of State. 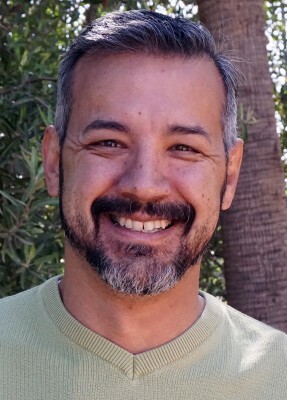 According to Mendoza, in the classroom GCU prepared him to think critically, and outside it the University showed him the camaraderie between teachers and students. But the most important life lesson he got here was God’s presence in his life.